How does one demonstrate title to or legal ownership of a vessel registered under the laws of your jurisdiction? The title is demonstrated by a certificate of ownership issued by the relevant port captaincy, in the case of vessels under 100GT, and by the Admiralty Court, in the case of vessels over 100GT. How can one determine whether there are any liens recorded over a vessel? In the case of in rem liens recorded over a Brazilian vessel, it is possible to formally request a clearance certificate from the Admiralty Court, which asserts the existence of in rem encumbrances. It is also possible to request a certificate from the operator of the vessel to verify whether there are any employment debts relative to the crew. However, there is no available certificate that states liens in connection with travelling expenses, or any general certificate showing all the types of liens together. How does one determine whether there are any security agreements, liens, charges or other encumbrances granted by a vessel owner or affiliated party who might be a borrower, guarantor or other credit party in connection with a vessel finance transaction? In relation to liens upon the hull, as explained in question 2, it is possible to obtain a clearance certificate from the Admiralty Court stating the existence of in rem encumbrances. It is also possible to obtain a certificate from the Registry of Deeds and Documents (RTD) to verify the existence of a registered finance transaction. However, it is not mandatory to register financing agreements with the RTD; therefore, there might be financing operations that will not be detected by means of the referred certificate. Can one determine whether an obligor registered in your jurisdiction is duly organised and in good standing from a search of a public registry? Yes, it is possible to conduct a legal audit on the obligor’s businesses and activities, and its economic, financial and legal affairs, by means of a search in the public records of federal and state courts, as well as a search on the obligor’s bankruptcy proceedings and judicial management. However, since the Brazilian legal system provides for state courts and each state organises its courts separately, the listing of state claims against a particular company is not centralised in one specific state court. In this sense, considering that it is not viable to conduct a search in each state court (owing to the large number of state courts and the corresponding high costs), the searches are usually conducted only in states in which the companies have headquarters or branches. It is possible to obtain most public certificates armed only with the target company’s name and taxpayer’s number, but there are a few tax certificates that require a power of attorney issued by the target company, preventing a silent due diligence. Can the shareholders or other equity interest holders, directors and officers or other authorised signatories of an obligor organised in your jurisdiction be determined from a search of a public registry? If not, how are these parties customarily identified? It is possible to request a certificate from the Board of Trade stating the quota holders and their equity interest in the share capital, administrators and directors, as well as corporate name, headquarters and branches, Corporate Taxpayers’ Registry, date of beginning of the activities, main corporate activities and share capital. This is valid for limited liability companies and other types of companies, but for unlisted corporations it is only possible to determine their shareholders through their corporate books. What corporate or other entity action is necessary for an obligor to enter into or guarantee a debt obligation? When is action by the board of directors or other governing body required? Must shareholders approve a guarantee? There are no formal requirements imposed by Brazilian law for an obligor to enter into or guarantee a debt obligation. The requirement of approval by the shareholders or board of directors varies in accordance with the obligor’s articles of association or by-laws. Must foreign lenders qualify to do business in your jurisdiction to extend credit to a borrower organised in your jurisdiction? Will foreign creditors be deemed resident as a consequence of making a loan or other extension of credit to an obligor within your jurisdiction? There is no required qualification for foreign lenders to extend credit to borrowers organised in Brazil. However, in order to hold interest over a vessel or other in rem rights, a creditor must obtain a Brazilian taxpayer identification number. Under Brazilian general permanency rules, a loan transaction does qualify the foreign entity as resident in Brazil. Is central bank or other regulatory approval required for repayment of a loan in foreign currency? The financial conditions of operations of external loans between parties resident or domiciled in Brazil or abroad are not subject to prior approval from the Brazilian Central Bank. However, they must be submitted to and registered with the Brazilian Central Bank. Such registry is made through the Registry of Financial Operations. Do usury laws limit the interest payable to a lender in respect of a vessel financing? In accordance with the Brazilian Usury Law (Decree No. 22,626/1933), it is forbidden to establish in any contracts interest rates that are above the legal rate provided by the Brazilian Central Bank. However, the Usury Law is not applicable to financial institutions. Therefore, there are no limits imposed by law on the interest established by banks in a financing agreement, and such interest might be freely stipulated between the parties. Are withholding taxes payable on principal or interest payments to non-resident lenders? Yes. There is withholding income tax (at 15 per cent) on the payment of interest to non-resident and non-tax-haven lenders. The repayment of the principal amount is exempted from withholding income tax. Loans may also trigger tax on financial transactions. What vessels are eligible for registration under the flag of your country? Are offshore drilling rigs or mobile offshore drilling units considered vessels under the laws of your jurisdiction? What is the effect of registration? Brazil has two vessel registration systems for Brazilian-flagged vessels: the Brazilian Vessel Ownership Registry and the Brazilian Special Registry (REB). The Brazilian Vessel Ownership Registry is a compulsory registry for all seagoing vessels over 20GT and vessels over 50GT employed in inland waterways transport that are owned by Brazilian legal entities or individuals. This registry must be made at the Brazilian Admiralty Court with the purpose of establishing the nationality, validity and publicity of the vessel’s ownership. The REB is an optional registry for Brazilian vessels operated by Brazilian shipping companies and foreign-flagged vessels bareboat-chartered to Brazilian shipping companies, with the temporary suspension of the foreign flag. In accordance with Law No. 9,537/1997 and Navy Ordinances Nos. 01, 02, 03 and 28, issued by the Department of Ports and Coast, the definition of vessel includes all floating structures - including fixed platforms when towed - that are capable of moving on water, either by their own means or not, and can transport people or cargo. Therefore, the legal concept of Brazilian vessels does include rigs (floating rigs and fixed rigs when towed). However, there have been administrative decisions contrary to this understanding, whereby the tax authorities have claimed that the tax benefits applied to vessels were not applicable to rigs, since they do not perform transport activities. Additionally, in February 2016, the Court of Appeals of São Paulo considered that a foreign floating production, storage and offloading unit (FPSO) is not a vessel in order to reject the application of the ‘law of the flag’ provided in the Bustamante Code. Who may register a vessel in your jurisdiction? Only Brazilian citizens or Brazilian residents and companies incorporated in Brazil are allowed to register vessels in Brazil. However, Brazilian shipping companies may register Brazilian vessels and foreign-flag vessels bareboat-chartered, with temporary suspension of the foreign flag, are exceptionally accepted in the REB. See question 11. Is there an alternate registry for international shipping operations? The REB is an optional registry for foreign-flagged vessels under bareboat charter to Brazilian shipping companies, with temporary suspension of the foreign flag. There are two requirements for a foreign vessel chartered to a Brazilian shipping company to be registered with the REB: suspension of the original flag and the Brazilian shipping company must have the required tonnage, namely, twice the tonnage under construction in a shipyard located in Brazil plus half the tonnage of the Brazilian vessels already owned by the charterer. However, REB registration is not ownership registration and does not authorise the recording of encumbrances and liens. What types of ship mortgages exist and what obligations may a ship mortgage secure? Can contingent obligations, including swap obligations, be secured? Are there standardised forms? Brazilian law provides for mortgages and chattel mortgages (fiduciary sale) on vessels. The main difference between them is that while a mortgage is an in rem right of the creditor over the debtor’s property, a chattel mortgage provides for the transfer of some of the owner’s rights on the asset to the creditor. The debtor under a chattel mortgage is the direct possessor and depositary of the vessel, and some of the owner’s rights over the vessel are transferred to the creditor. Therefore, the creditor with a chattel mortgage over a vessel is not the registered owner of the vessel, but, in the event of default, the creditor is allowed to take possession of the vessel, consolidate the property and then carry out a private sale of the vessel. The mortgage subjects the creditor to public auction of the asset. The assignment of ownership also prevents the debtor from using the asset until the debt is fully settled, while under a mortgage the use of the asset by the debtor, which in this case remains with the owner, is possible, with liens and encumbrances on the asset being permitted. Mortgages or chattel mortgages may secure any debts, even contingent or future debts. There are no standardised forms required. However, see question 15 regarding the requirements for a mortgage to be considered valid under Brazilian law. Give details of any required form for ship mortgages in your jurisdiction. Who maintains the register of mortgages? What information does it contain and where are such filings to be made? What is the effect of registration? The Admiralty Court maintains the register of mortgages over Brazilian-flagged vessels. In order to register a mortgage, it is also necessary to register the instrument constituting the mortgage, which contains all details and information. However, if a clearance certificate is required by the Admiralty Court, it shall only contain the name of the main creditor and the type of mortgage (first degree, second degree, etc). The mortgage shall only be considered an in rem right, enforceable before third parties, after registration with the Admiralty Court. Before registration, a mortgage is only considered a contractual obligation and is therefore only enforceable between the parties. Must the total amount of the mortgage be stated therein? Must the mortgage contain a maturity date? Must the underlying debt instrument be filed with or attached to the recorded mortgage? To be considered valid and in effect under Brazilian law, the maritime mortgage must be constituted through a public deed, which must state the amount of credit (an estimate or maximum amount) and the term for repayment, among other requirements. The underlying debt instrument may reflect the exact terms of the recorded mortgage or simply be attached to the mortgage. Can a mortgage be registered in the name of an agent or trustee for the benefit of multiple lenders? Yes, it is possible to constitute a mortgage for the benefit of multiple lenders. However, in Brazil a financing syndicate does not have legal personality and in those cases the agent is registered as lender or representative. If the mortgagee is an agent or trustee for a lending syndicate, must any filings be made upon transfer of a portion of the underlying debt among existing lenders or to a new lender? No, considering that it will be registered under the name of the agent. If the mortgagee transfers its interest to a new lender, agent or trustee what filings are required? Is the mortgagor’s consent required? Yes, the mortgagor’s prior consent is required. In addition, it will be necessary to execute an amendment to the mortgage instrument, to be registered before the Admiralty Court. What other maritime liens over vessels are recognised in your jurisdiction? Do these claims give rise to a right to arrest a vessel? In what circumstances may associated ships be arrested? the outstanding price of the vessel. Where the creditor has a maritime lien over a vessel, its credit is considered as privileged if properly construed according to article I of the 1926 Brussels Convention and, therefore, the creditor may seek the arrest in rem of the vessel. There are no specific provisions dealing with the arrest of sister ships in Brazilian law. If the claim is based on a privileged credit (maritime lien) with effects in rem on the vessel, the creditors would be unlikely to obtain the arrest of another vessel of the debtor’s fleet. However, if the arrest is in personam, it may be possible to file a precautionary lawsuit against the shipowner in order to detain a sister ship and request security even if the obligation is not directly related to such sister ship. However, Brazilian maritime law is currently being discussed in a bill by the Brazilian Congress, which provides the possibility of arresting sister ships in the case of privileged credits or maritime liens. What maritime liens rank higher than a mortgage lien? indemnities due as a result of collisions, or any other sea accident. May non-mortgage liens be recorded over a vessel? Although non-mortgage liens are recognised in Brazil, formally, it is only possible to register in rem liens (such as mortgage and chattel mortgage) or judicial liens (established by a judicial decision) over vessels. Will mortgages on ‘foreign’ flag vessels be recognised in your jurisdiction? If so, do they share the same priority as those on vessels registered under the laws of your jurisdiction? It is not possible to register a mortgage over a foreign-flagged vessel before the Admiralty Court. For an instrument that creates a mortgage over a foreign vessel to be valid in Brazil, first of all, it is necessary to have its signatories’ signatures certified by a notary, and, if there is any certification by a foreign notary, the notary’s signature shall also be apostilled in the Brazilian consular office in the place of execution and a sworn translation made in Brazil. After that, the document must be registered with the appropriate Brazilian registry of deeds and documents to be valid towards third parties. Where the creditor needs to execute a mortgage over a foreign vessel, assuming that such vessel is in Brazilian waters, it will be necessary to follow the above-mentioned steps required to validate foreign documents in Brazil, as well as the procedures for the enforcement of foreign judicial decisions or arbitral awards. In short, these are to seek ratification by the Superior Court of Justice (STJ), which will be provided as long as certain formal requirements are met, including the absence of any provisions contrary to Brazilian laws, public policy, national sovereignty and good moral conduct. 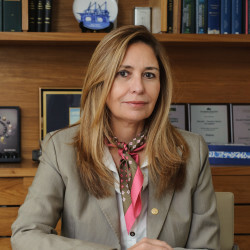 Although a recent decision from the São Paulo Court questioned the possibility to recognise a mortgage over a foreign vessel, such decision was overturned by the STJ, which expressly stated that mortgages over foreign vessels, duly registered by a competent registry will be valid and upheld by Brazilian Courts. What is the procedure for enforcing a mortgage in your jurisdiction by way of foreclosure? Are interlocutory sales permitted? How long does a judicial sale take? What are the associated court costs and how are they calculated? Mortgages on ships are enforced through judicial actions and a forced sale at public auction. The judicial sale of vessels follows the same general rules as asset bidding. Court bidding procedures are conducted by the public auctioneer, whose fees amount to between 2 and 5 per cent of the sale value. The minimum initial bid is set by the judge based on the accounting report. The vessel cannot be sold at the first auction for an amount below its official appraisal. However, at the second auction (10 to 20 days after the first auction), the vessel may be sold at any price that the court considers proper (within a limit of 40 per cent of the appraised value). The highest bidder deposits 20 per cent of the bid in cash or by certified cheque immediately after the auction, with the balance to be paid within a certain period. If the residual amount is not paid, the auction may be aborted and the vessel offered to the next bidder. Once the sale has been duly performed, the judge will release an order of sale and the bidder will register ownership with the Admiralty Court. Before seeking the judicial sale of the vessel, the creditor needs to obtain a final court decision for subsequent enforcement. Where the mortgage is over a foreign-flagged vessel, the creditor will need to follow the steps for the enforcement in Brazil of the foreign judicial decision or arbitral award that recognises its credit and lien. May a vessel be sold privately by a mortgagee? Will the sale discharge liens over the vessel? As regards mortgages, it is not possible to sell the vessel privately, since the mortgage may only be enforced through judicial actions and a forced sale at a public auction. The existing liens and encumbrances shall be discharged by means of a judicial sale. See question 14. Nevertheless, as regards chattel mortgages, this is possible, since the creditor has the right to seek relief through a search and seizure action whereby the debtor is forced to relinquish the asset immediately and then is authorised to carry out a private sale of the asset, not following the public auction. In this case, any other liens will follow the asset. What are the limitations on rights of self-help by a mortgagee? See question 26. As regards the mortgage, the creditor is not entitled to any self-help and must resort to the judicial system. The creditor is not permitted to take possession of the mortgaged vessel in the event of default. Mortgage foreclosure proceedings provide for that the auction of the vessel and the creditor shall apply the proceeds of the sale to satisfy its credit and return the excess, if any, to the debtor. In relation to the chattel mortgage, the creditor is entitled to carry out a private sale of the vessel, which grants greater speed and security to the creditor in the event of default by the debtor. What duties does a mortgagee owe to an owner or third-party creditors? In the event of sale of the vessel, in a public auction or private sale, the creditor shall not accept an insignificant price, always looking for market value and good commercial terms for the sale of the asset. Additionally, after the sale, the creditor is entitled to satisfy its credit by presenting all accounts and evidence to owner and returning any excess cash to the owner. Whether under public auction or bankruptcy procedures, other credits with preferential rights over the mortgagee may be satisfied before the mortgagee. May finance leases or other charters be recorded over vessels flagged under the laws of your jurisdiction? Yes, it is possible to register financing agreements regarding Brazilian-flagged vessels with the RTD and the Maritime Notary Office. In relation to charter agreements, it is mandatory to register bareboat charter agreements with the Maritime Notary Office and the Admiralty Court. May finance leases be recharacterised by a court as a financing contract? If so, is there any procedure for protecting the lessor’s interest against third-party creditors? There have been several lawsuits in the past that have questioned the nature of the lease agreement due to prepayment of the residual amount. There was an argument that the prepayment of the residual amount conferred the nature of a financing contract other than a leasing agreement. However, this subject was finally settled by a general ruling issued by Brazilian Superior Courts in 2004. Now, the nature of the finance leasing can only be questioned if the legal requirements are not met. How is a security interest created over earnings of a vessel, charter contracts, insurances, etc? How are these security interests perfected? These security interests are created by means of private contracts, which are perfected through communication to the payer of the earnings. There is also the alternative of registering the contract with the RTD, in order to be enforceable before third parties. Must security interests against non-vessel collateral be registered to be enforceable? If so, where are such filings made? As a general rule, only in rem rights over vessels or real estate must be registered to be enforceable, but each type of security may have its own requirements to be fulfilled. How is a security interest over a deposit account established? How is a security interest perfected? In Brazil it is mandatory to specify the amount over which the pledge will apply. Therefore, it is not usual to have a pledge over monies or bank accounts; it is more common to have blocked or escrow accounts. These are achieved through a contractual agreement between the debtor, creditor and bank, to block the operations of any referred bank account. How are security interests in non-vessel collateral enforced? Procedures to enforce any security will depend on the type of security, namely, in rem, related to titles of credits, contractual (assignment of earnings, for example). Some types of securities may be protested, but, as a general rule, all securities shall be enforced through court procedures, if no step-in rights are granted. How are share pledges for vessel financings established? Are share pledges or share charges common in your jurisdiction? It is usual in Brazil to create a pledge over the shares of a company as collateral to a financing operation. For this purpose, it is necessary to follow the procedures to validate the pledge agreement in Brazil (notarise, apostille, officially translate it into Portuguese and register it with the RTD). Additionally, it is advisable to register an amendment to the articles of association of the pledged entity with the Board of Trade, to reflect the pledge created, if related to a limited liability company. In the case of a share pledge over shares of a corporation, the presentation of the share certificates is required and the pledge must be recorded in the company’s books. Is there a risk that a pledgee, before or after exercise of the share pledge, may be exposed to debts or other liabilities of the pledged company? All debts and liabilities remain with the pledged company; there is no transference to the pledgee. Is the income earned by the owners of vessels registered in your jurisdiction subject to domestic taxation? At what rate? Yes. Two federal taxes (contribution to the National Integration Programme (PIS) and social contribution on gross revenues (COFINS)) are triggered by the company’s gross revenues, including charter hire or freight revenues. The joint tax rate of PIS and COFINS is 9.25 per cent. Since January 2016, Brazilian shipping companies may opt for a tax benefit levied upon charter hire or freight for paying their social security contribution. The tax rates vary between 1.5 and 2.5 per cent, according to the type of navigation performed. Gross revenue must also be included in the corporate taxable basis for assessing income tax (IRPJ) and social contributions on net profits (CSLL). The IRPJ tax is 25 per cent of the nominal rate on the adjusted taxable income (corporate tax rate is 15 per cent; however, there is a 10 per cent surplus tax levied upon all adjusted taxable income exceeding 240,000 reais per year) and the CSLL tax rate is 9 per cent, also on the adjusted taxable income. As general rule, charter hire or freight paid from Brazilian payers to foreign owners is subject to withholding income tax at different tax rates between zero and 25 per cent. The zero tax rate may be excepted to part of the charter hires paid to the foreign beneficiary when such payments are based under certain local contractual structures applied to the oil and gas sector, type of vessel and location of the beneficiary. Upon exceeding this amount, withholding income tax is triggered at 15 or 25 per cent. Is there an optional tonnage tax exempting vessel owners from tax on income? No. Shipowners are taxed based on the general corporate tax rule. See question 37. What special tax incentives are available to shipowners registering vessels in your jurisdiction? Brazilian shipowners may register the vessels or hull with the REB, which grants tax incentives especially for building in Brazilian shipyards (exemption from import taxes and from sales taxes triggered by the delivery of the vessels) and exemption from the payment of a special social contribution for professional training for Brazilian crewmembers. ×2 - for three shifts of eight hours of operation. It is not necessary to request permission from the Brazilian tax authorities to adopt accelerated depreciation accounting. However, if accelerated depreciation is adopted, the taxpayer may be requested, at any time, to justify such a procedure, under penalty of the depreciation relative to the normal rate being glossed over. Are there any other noteworthy tax provisions specifically applicable to shipping, shipping income or ship finance? Shipowners engaged in supporting activities related to the oil and gas market may enjoy tax incentives on the importation of vessels, equipment and remotely operated vehicles on a temporary basis into Brazil and also for local construction. Brazilian shipowners operating in cabotage navigation also enjoy tax incentives for importing vessels on a temporary basis. The Brazilian government makes available subsidised interest rates and long-term repayment periods with a significant grace period before the start of repayment. Such incentives are available to Brazilian companies and Brazilian shipyards for vessels to be built or refurbished in Brazil. In those cases financing is made using resources from the Merchant Marine Fund through one of the authorised banks. The most frequently used out of the authorised banks are the National Bank for Economic and Social Development and Bank of Brazil. Is there a general scheme of reorganisation or insolvency administration in your jurisdiction? The Brazilian Bankruptcy Law (11,101/2005) provides for a procedure called judicial reorganisation as a system to save the entity. The objective is to preserve the company facing financial difficulties, its employees and the creditors’ interests and to preserve the continuity of the business. A Brazilian company facing financial difficulties may, with judicial permission, present an economic feasibility study with a detailed reorganisation plan for its finances, which must be accepted by the creditors based on several requirements established by law. Meanwhile, as of the decision that granted the restructuring of the company, all the ongoing lawsuits against the company shall be suspended for 180 days, except the claims related to amounts not liquidated, which may keep their course until the liquidation of the amounts. A reorganisation plan can provide for extension of terms for payment of debts, sale of assets, merger, change of control, shared administration among the debtor and creditors and so on. A credit originating from a ship mortgage is considered a secured credit. Secured creditors comprise a specific category and each secured creditor is listed in such category to the extent of the security it holds. Any use or disposal of collateral by the debtor should be approved beforehand by the relevant secured creditor. Therefore, the secured creditors do not hold a different means of seeking remedies for protection of their collateral, other than negotiating the payment of the respective credit under the reorganisation plan. All categories of creditors are paid according to the judicial reorganisation plan. In forced liquidation proceedings, secured credits (limited to the value of the collateral) rank behind labour credits (limited to 150 times the minimum wage) and credits deriving from accidents at work, but ahead of tax credits and unsecured credits. Will the courts of your jurisdiction respect the rulings of a foreign court presiding over reorganisation or liquidation proceedings? For a foreign decision to be enforced in Brazil, it should be ratified by the STJ to grant the exequatur, as per the Brazilian Civil Code, Civil Procedural Code, Arbitration Act, STJ’s internal rules and other related legislation. However, in the case of reorganisation or liquidation of a company with a branch and assets in Brazil, the STJ will not grant the exequatur, in view of article 3 of the Bankruptcy Law, which states that only Brazilian courts where the company has its main centre of activities have jurisdiction for the bankruptcy or reorganisation of such a company. Has your jurisdiction adopted the Model Law on Cross-Border Insolvency promulgated by the United Nations Commission on International Trade Law? No. However, some bills currently ongoing before the National Congress bring provisions that, if enacted, will substantially adopt the concepts of the Model Law. What is the order of priority among creditors? In what circumstances will creditors be required to disgorge payments from an insolvent company? registry of in rem rights and of inter vivos conveyance of property, for a consideration or free of charge, or an annotation of real property made after the decree of bankruptcy, unless there is a previous annotation. The ineffectiveness may be declared by the judge on his or her own initiative, alleged in defence or claimed under a specific action or incidentally during the proceedings. May a vessel owner provide security on behalf of other related or unrelated companies? What are the requirements for it to be enforceable? Brazilian law admits that a vessel owner provides security on behalf of another company, by personally guaranteeing satisfaction of an obligation undertaken by the debtor. Such guarantee must be in writing and is considered valid regardless of the consent of the debtor or its will. To be directly enforceable in court, the personal guarantee must be provided by public document or private agreement. Is there a law of fraudulent transfer that permits a third-party creditor to challenge, for example, the grant of a mortgage because of insolvency of the mortgagor or insufficient consideration received by the mortgagor in exchange for the grant of the mortgage? There is no specific law related to fraudulent transfer in Brazil. However, the Brazilian Civil Code and the Civil Procedure Code provide that, in some situations, it is possible to challenge a transaction realised by a debtor who is already insolvent or is reduced to insolvency by such transaction. Additionally, it is possible to challenge the sale of an asset granted as guarantee of a debt. The Brazilian Bankruptcy Law also declares as invalid some transactions considered as fraudulent realised by the insolvent company, even before the adjudication of bankruptcy. How may a creditor petition the courts of your jurisdiction to declare a debtor bankrupt or compel liquidation of an insolvent obligor? To declare a debtor bankrupt, the creditor must prove the debtor’s default on a judicially enforceable instrument the value of which is equivalent to 40 minimum wages. Or, without proof of lack of payment, the creditor must also produce a list of criteria provided by law that serves to demonstrate the impossibility of the debtor to comply with his or her obligations. Further, in order for the creditor to hold legal standing to file for a debtor’s bankruptcy, the law stipulates that the debtor must be notified in advance of the protest. Has your jurisdiction adopted the Model Netting Act of the International Swaps and Derivatives Association (ISDA)? If not, may a swap provider exercise its close-out netting rights under an ISDA master agreement despite an obligor’s insolvency? Brazil has adopted the Model Netting Act through specific legislation for financial institutions operating in Brazil. However, there is also case law supporting close-out netting even in the event of insolvency or bankruptcy. As reported previously, in 2015 Brazil had the first judicial precedent related to the validity of a foreign mortgage, when a São Paulo lower court denied recognition of the validity and ranking of a foreign mortgage duly registered under a Liberian flag FPSO. The decision was received with surprise by the industry and left creditors uncomfortable in relation to assets operating in Brazilian waters. However, by the end of 2017, the STJ, in a unanimous decision, recognised the enforceability of maritime mortgage over foreign vessels operating in Brazil, overruling the previous decisions of the São Paulo Court. In in his vote, the reporting judge stated that: ‘by denying the mortgage’s effectiveness, the local Court does not observe several international conventions and causes legal uncertainty with possible restrictions and increase of costs in the charter of vessels in Brazil’. The court also decided that the registration of a vessel is a sovereign act of a country and, thus, the fact that Liberia may be an open registry is irrelevant in the matter. Although the STJ decision is still subject to appeals, it is an important decision, which has significantly reduced the uncertainty created by the first instance decision. We believe that the STJ decision has solid grounds in Brazilian law, and moreover signals a safe environment for the financial transactions required by the industry. Law Offices Carl Kincaid, was founded in 1932 and has become one of the most traditional law offices in Brazil.